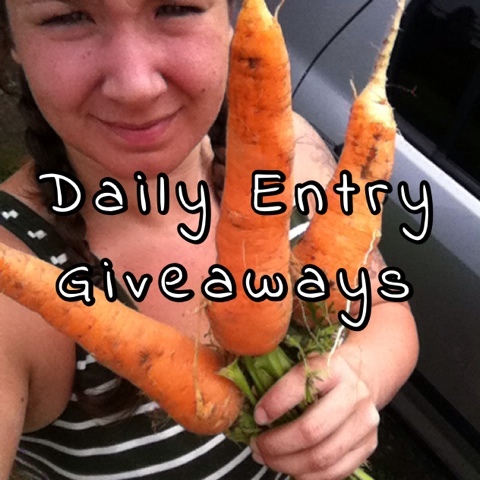 I post lots of contests on Facebook and Twitter as well! Happy Contesting! I love mail days. I think it started when I was a kid. I used to keep pen pals and I would get very excited to see the flag up on the mailbox, in hopes that there was a letter from one of my many correspondents. 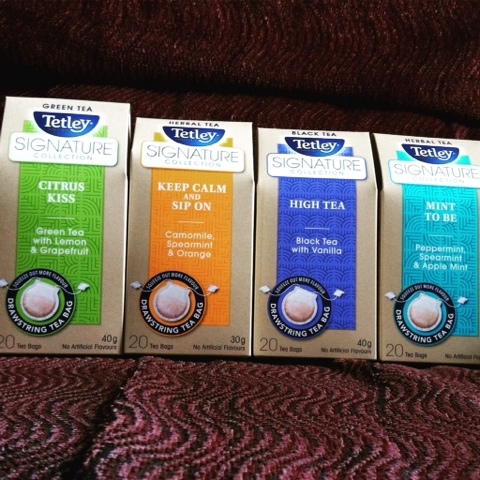 I got this Tetley Signature Tea Prize Pack in the mail, earlier this week. 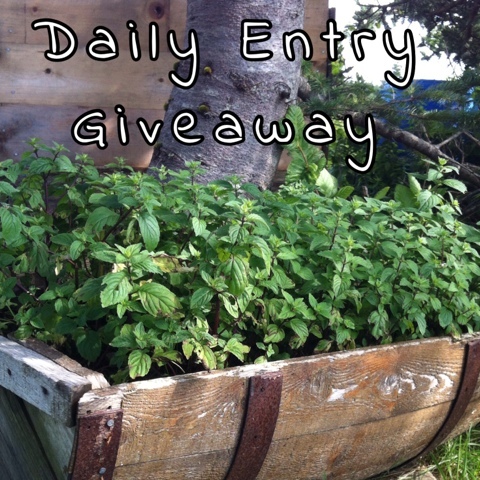 I won it last week from a contest on Tetley Canada's Facebook page. The tea is delicious. I think my favorite is "Mint to Be", although they are all yummy. 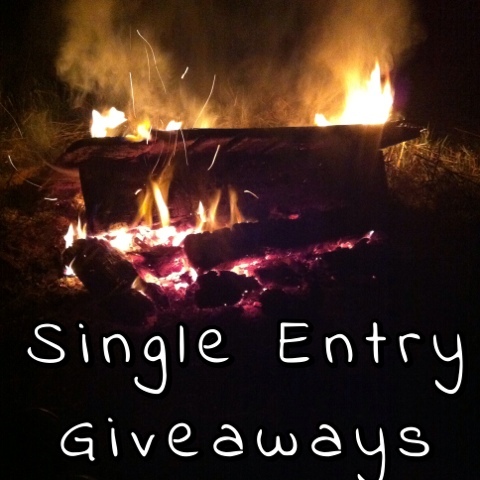 My mom always said that you can't win if you don't enter. So what have you got to lose? Check us out on Facebook! 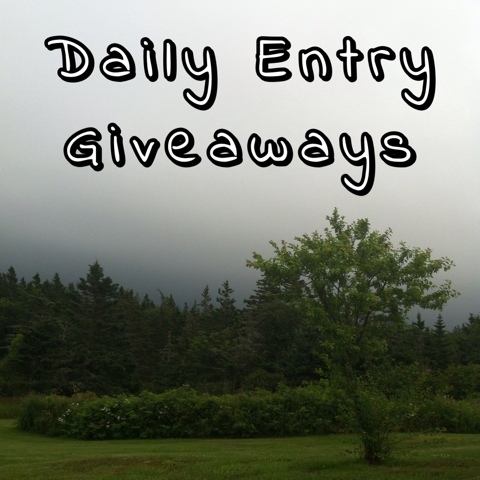 I share lots of Facebook giveaways that I find on my contesting adventures. I didn't plant as much Kohlrabi this year because I'm still learning what I can do with it and the best ways to preserve it. Last year, I learned that I enjoy it far more than I enjoy turnip. 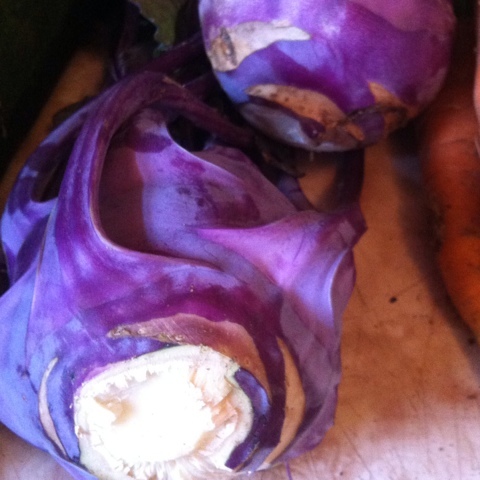 I'm sure some of you are asking "What the heck is Kohlrabi?" 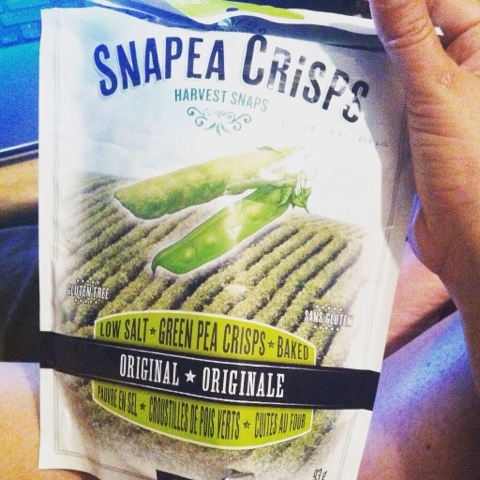 It's like a cross between Turnip and Cabbage. It's leaves are edible as well and can be cooked the same as beet greens or Chards. We jokingly call it the purple alien plant around here. I harvested my first two Zucchini's yesterday. I have quite a few zucchini plants. 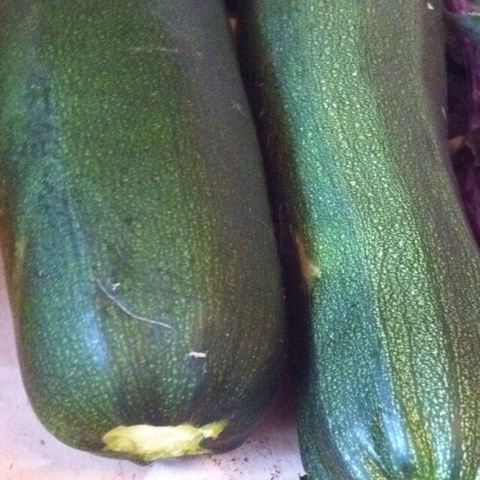 I think I may attempt Zucchini pickles and Zucchini relish this year. It will be my first time preserving anything that isn't a jelly. My carrots grew HUGE this year. 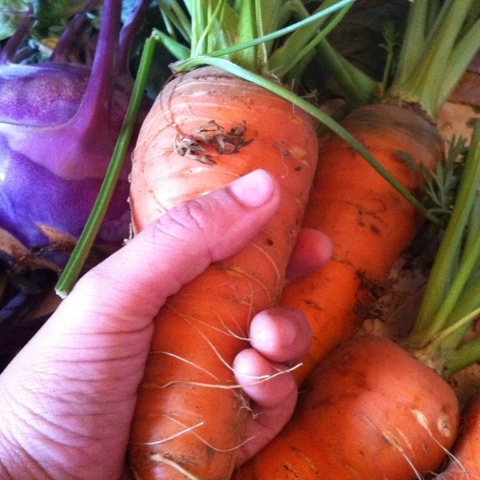 This is probably the largest bunch of carrots I've ever grown. I planted them pretty early. 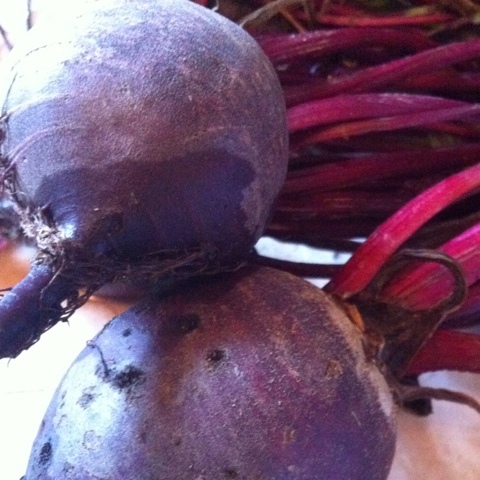 This is the first year I actually enjoy/crave beets. I've never cared for them in the past. I still don't like them pickled but they are delicious sauteed. 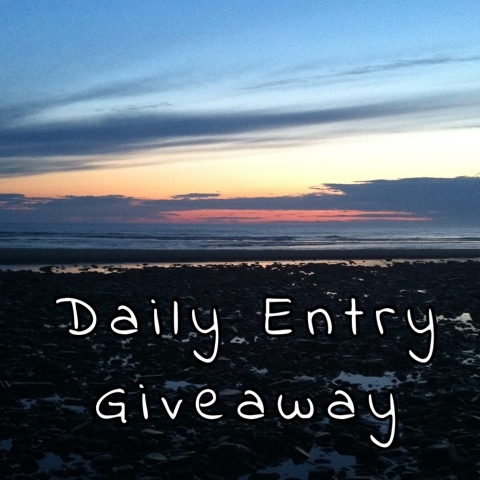 Follow me on Facebook and Twitter, I post LOTS of giveaways on each network. Happy contesting! 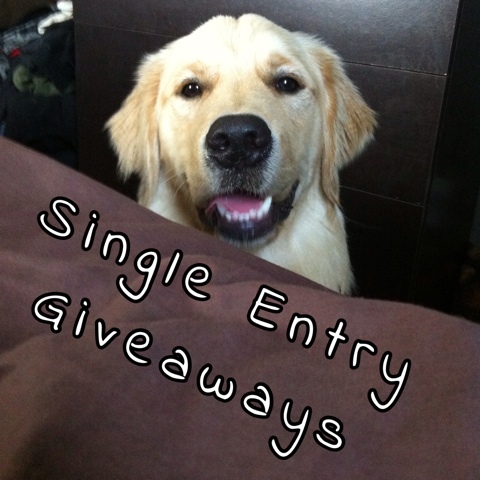 You can find me on Facebook and Twitter and I post LOTS of giveaways. Happy contesting! 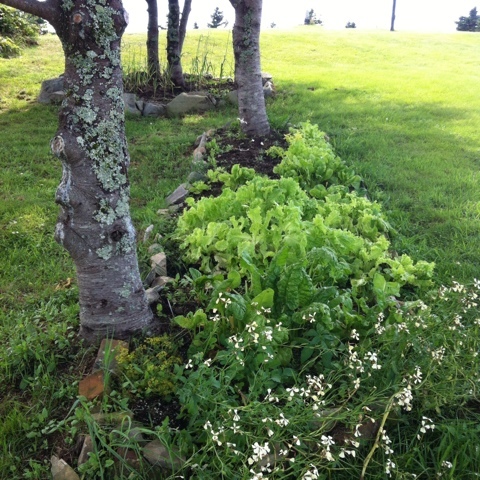 Above is my lettuce patch. There are other greens in this patch, like Swiss Chards and Arugula - which I've been calling Christina Arugula all season long. 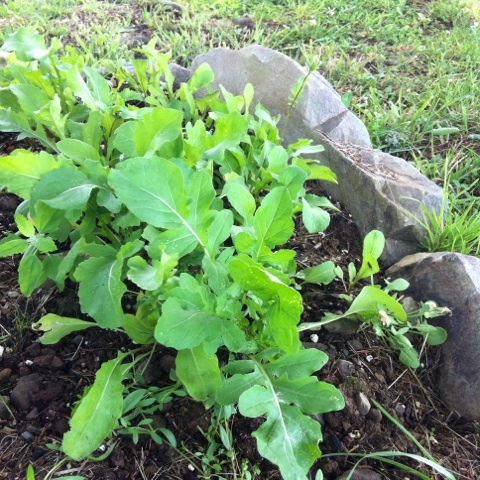 The second run of Christina Arugula is growing nicely, as shown below. 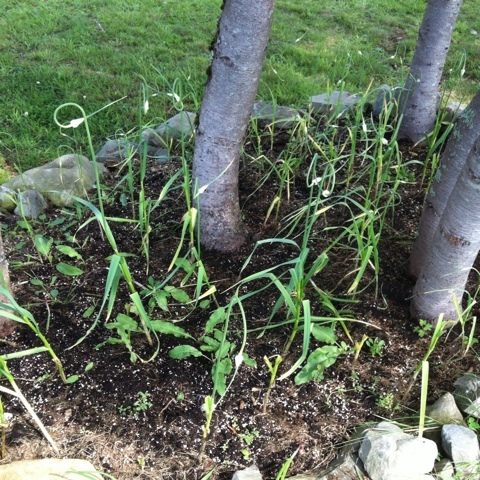 The garlic looks wonderful and the Scapes are ready to harvest. In the past, I would remove them and throw them out. I didn't realize that they are essentially the first harvest. Once you remove the woodier part of the stock you can use the remainder of the stock and the bulb, the same as you would use garlic. Delicious! It is time to harvest my ginger mint plant. I plan on drying some out and also freezing some. It is nice to have options and I think I might mince and freeze some in ice cube trays for mojitos. 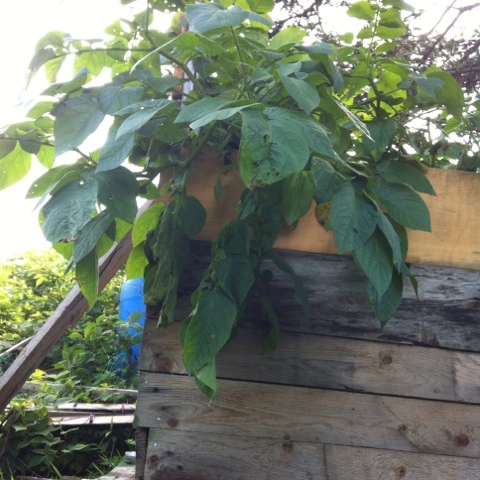 The potatoes are growing so good in the pallet box that I built. I can't wait to see what it yields. Below you can see the progress of some of my raised beds. Some of the onions have fallen over because my dog keeps running through. Menace... garden menace. 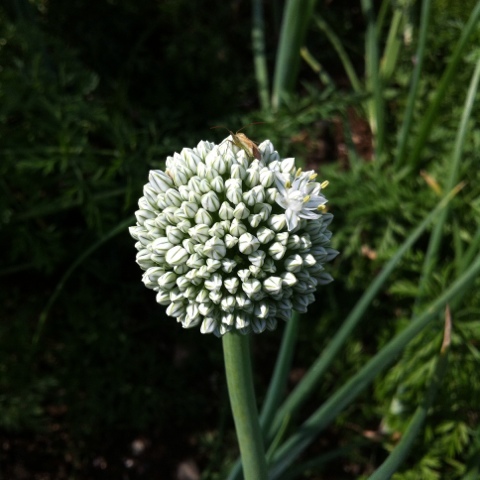 I usually pick the onion blossoms and put them in a vase in the dining room. 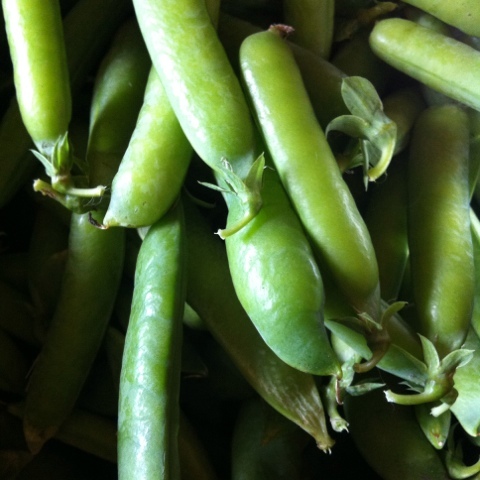 Below you can see a harvest of peas. 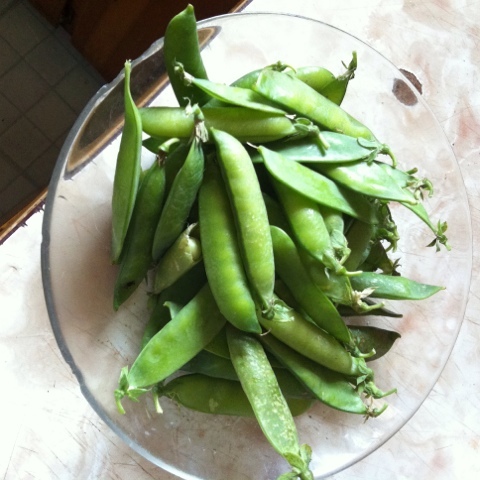 I managed to get these peas from the back up bed that the dog didn't munch on. He has a taste for peas, beets, beans and lettuce. I have to keep an eye on him. I'll snap some more pics in a week or two. I really have to get out back and pick some blueberries while they are still in season. I like to freeze them and use them in my oatmeal. This picture just makes me crave more campfires. It was taken a couple weeks ago in one of our back fields. I look forward to enjoying some more campfires before the season comes to its completion. On another note, two foxes have decided to become my neighbors... pets? They are living on their front lawn. They've been there for days. 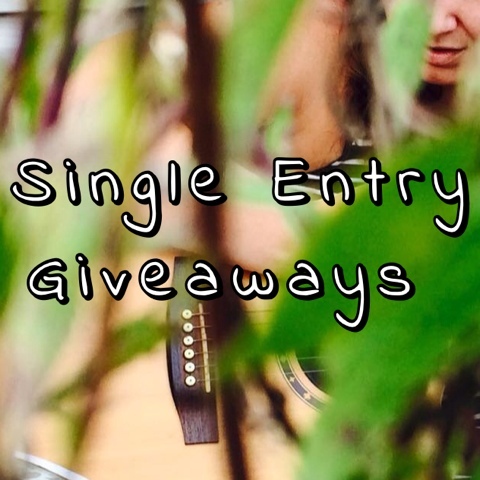 Here are a list of Single Entry Giveaways that end on August 31st, 2015. 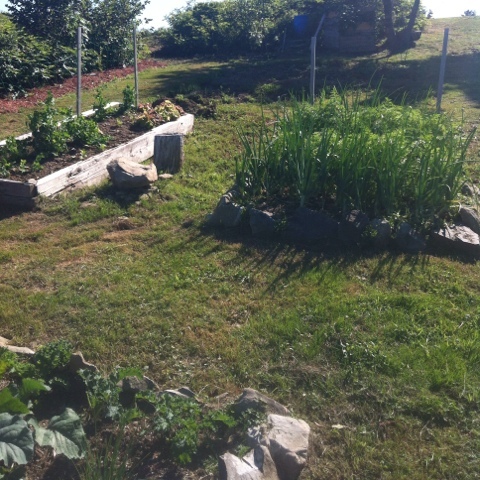 I went outside with the intention of checking in on all of my garden plots. I thought I would take some photos because it has been a couple weeks since my last photo update. 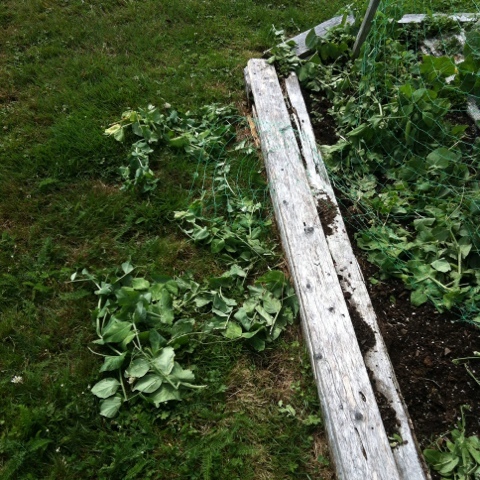 Instead, I discovered that the dog had destroyed/eaten almost every single pea plant in the house plot. He had already destroyed all of the beans in the front row over the last couple weeks and fortunately he hasn't discovered the 3 backup bean plants that I planted in the very back. Last night, it would appear, he developed a taste for peas. 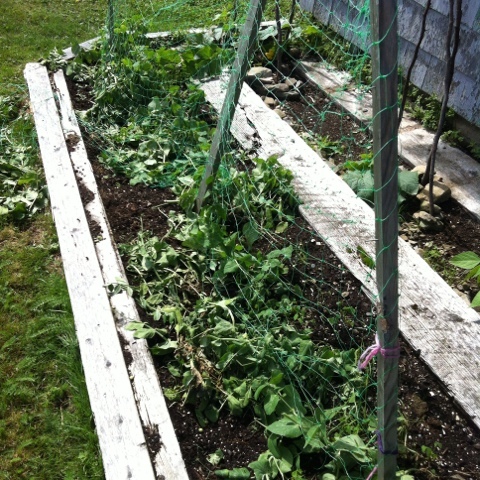 I gathered all of the peas off of the uprooted, mangled plants. I'll clean and cook what I was able to salvage for supper; so it doesn't go to waste. Sad though, they were doing fantastic and looked like they would be yield lots. 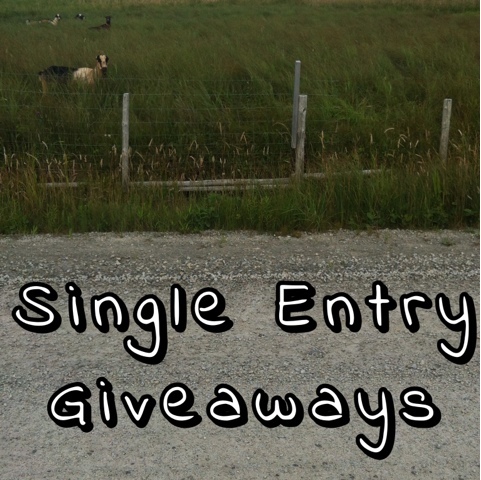 Here are some single entry giveaways from around the World Wide Web that are open to Canadians. 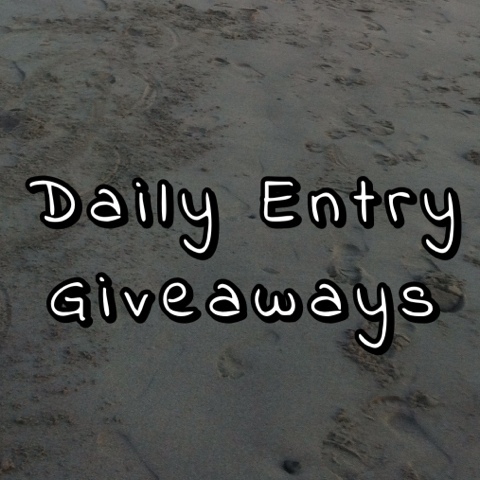 All of the giveaways listed below are ending on Saturday, August 15, 2015. May luck find each and every one of you! Don't forget, I post loads giveaways regularly on my Twitter account @crysslovesstuff and on my Facebook page Cryss Loves Stuff. 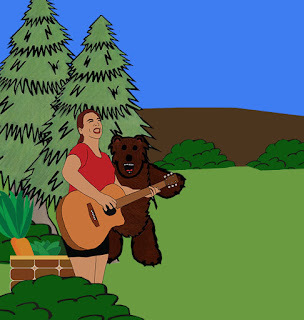 Follow me, if you like that sort of thing! 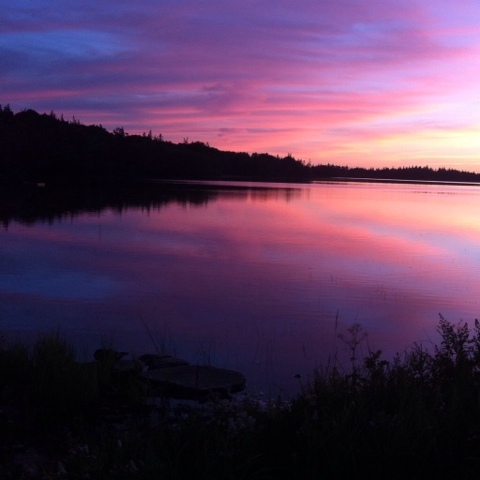 We get some beautiful sunsets in southwestern Nova Scotia. I've lived in Ontario and in Halifax and the sunsets are not nearly as beautiful as the one I captured tonight. This was taken a 5 minute walk from my house. We were on our way home from a walk on the beach and the sunset was so beautiful we had to stop and roll the windows down in the car to get a better look. I took out my phone and captured this pic. Often, I bring my yoga mat and my journal to my garden and watch the sun set and the moon rise. Sometimes, I will do some moonlit garden yoga. Other times, I will meditate or journal. I feel mentally at my best when these things are a regular part of my routine. Doing this in the garden, leaves me with a sense of connectivity to the world around me. 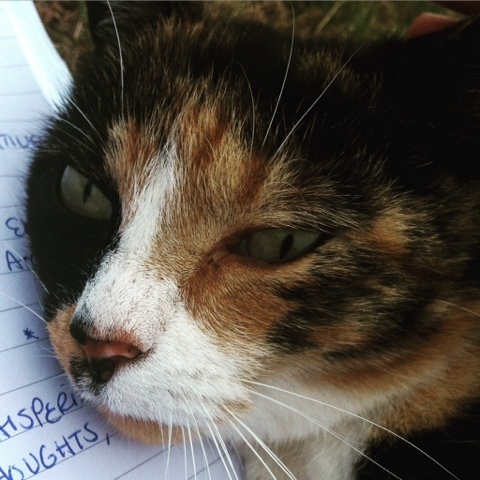 Adding a cat to these activities, complicates the writing process. Sometimes, you've just got to pet the kitty. I'm irritated and annoyed when the dog follows me to the garden. He eats everything. He has destroyed most of my bean plants and he also really likes lettuce. He is completely ruled by his stomach. So often times, when I plan on going in the garden, I leave him in the house. It is a completely different story where my cat is concerned. She doesn't dig in the garden. She also doesn't lay on any of the plants. She looks meticulously for bare spots of earth and lays amongst the vegetation. 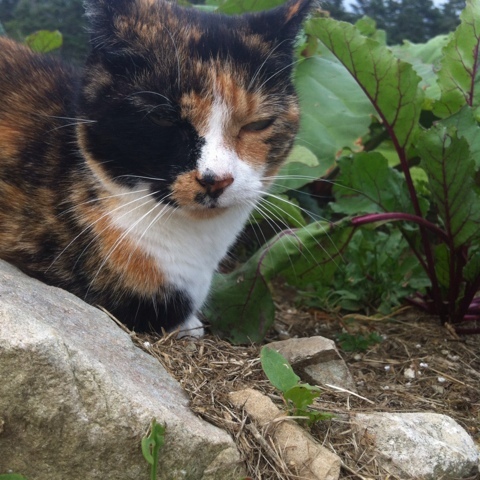 She is my cute little garden kitty. She often follows me around, curious kitten. What a relaxing day for a cat nap! It's time for a garden update. I love posting pictures throughout the season. It is wonderful to see the many phases of growth that occurs each year. 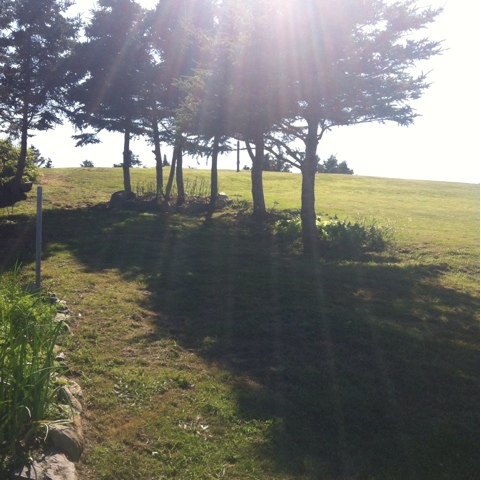 In the picture above, you can see the two large beds that I have crafted underneath the trees. One of them has very types of lettuce and other assorted greens. The furthest bed is filled with garlic. 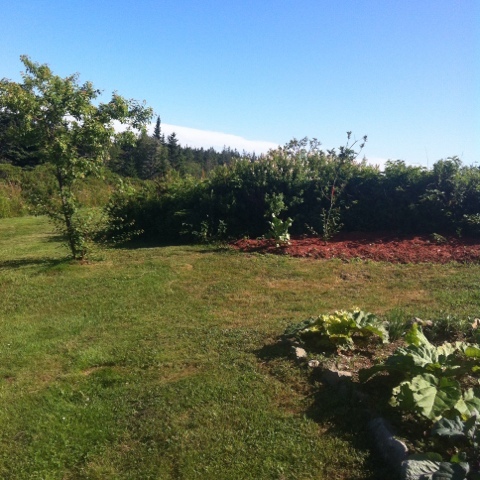 In the picture below you can see the plum tree that I planted a few years back. I was finally able to acquire a mate for the golden yellow plum tree. It is a Vampire plum tree and it will self pollinate and also pollinate the golden yellow tree. 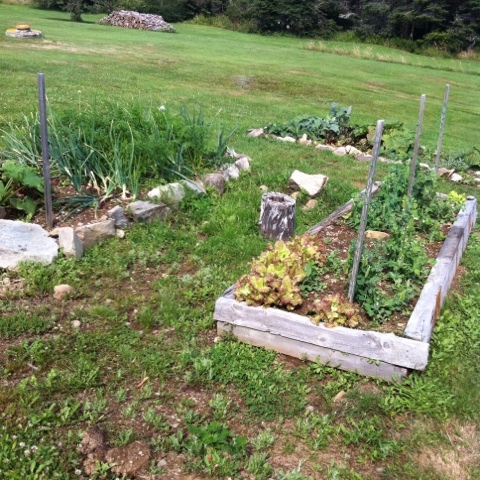 You can't tell very well by the picture below, but behind the two raised beds, I have a couple rows with pumpkin and zucchini growing. 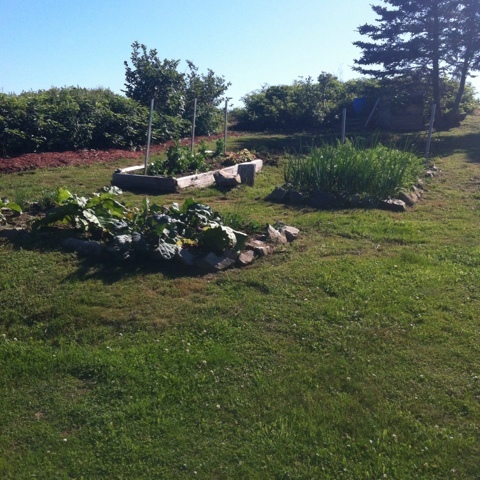 The raised bed on the left took a beating this year. The dog has been in that bed a lot and I managed to lose a little over half of the lettuce growing in the front. I have peas growing along the fence in the back, in various stages of growth to extend the harvest season. 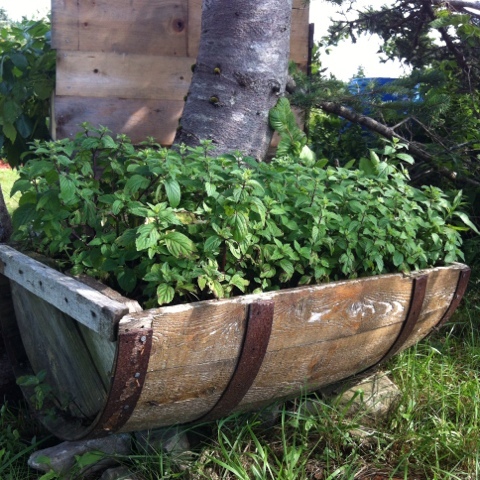 I have some high bush blueberry bushes and Haskap bushes growing in the background of the photo below, I have covered the bed they reside in with red mulch. 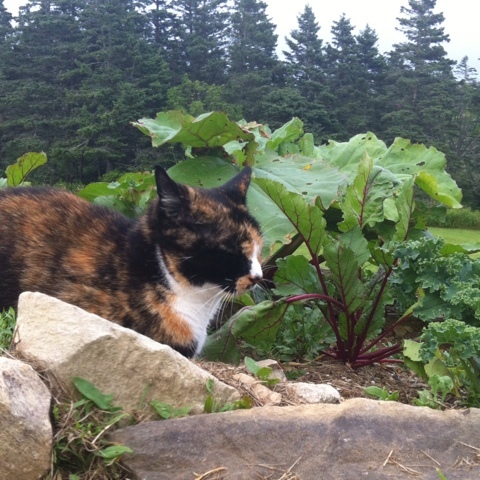 I have a pretty great crop of Rhubarb growing this year. It is the first year that I have been able to harvest it. I'll post another update in a couple weeks!